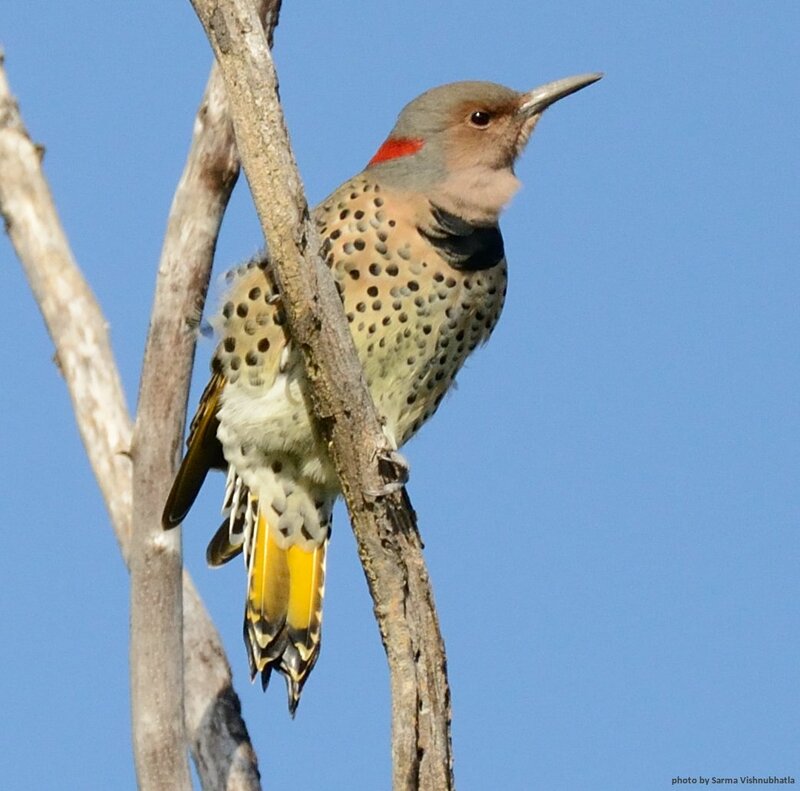 Northern Flicker, photographed by Sarma Vishnubhatla. On Sunday, 11 September, Jeff Skevington led an outing to Britannia and points west along the Ottawa River. 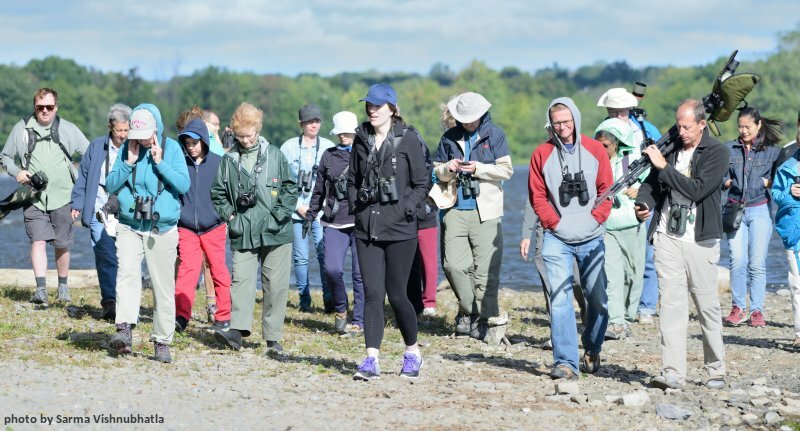 At least 28 participants spent the day visiting the best birding spots along the river, looking for migrants and, especially, shorebirds. As Jeff reports, “We had many groups of warblers and ended up with 20 species of warblers for the day. My personal highlight was a group of warblers at Shirleys Bay that were coming to a puddle to drink. We had 6 Northern Parulas, 1 Tennessee Warbler, 1 Magnolia Warbler and 1 Black-throated Blue Warbler all attending the puddle at one time. Some of the participants in Sunday’s birding excursion, led by Jeff Skevington (at right with scope).